The Magistrates Court for the District of Stellenbosch granted orders for the eviction of the Hanekom family and the Jacobs family from a property situated in Stellenbosch. 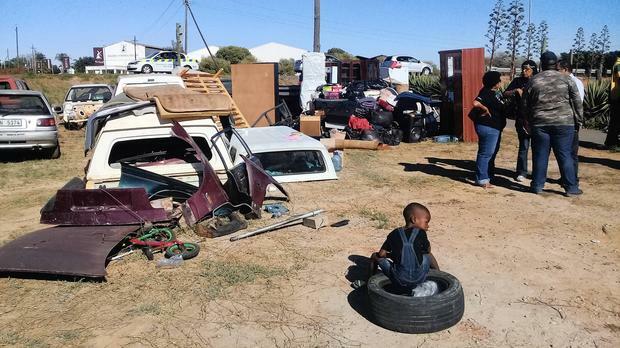 In both cases, the Magistrates Court, in addition to granting the eviction orders, ordered that the landlord pay the sum of R80,000.00 to each family in order to assist them in relocating and acquiring alternative accommodation. The families were ordered to vacate the premises within 90 days of payment of the aforementioned amount. The landlord appealed against the orders for payment, in both matters, to the Land Claims Court (LCC). The families cross-appealed against the orders for their eviction. The LCC dismissed the landlords appeal but upheld the cross appeal, which had the effect of setting aside the eviction orders. The landlord then applied for and was granted leave by the LCC to appeal to the Supreme Court of Appeal in both matters. The appeals were subsequently struck from the roll as the court did not have jurisdiction to decide on the merits of the matter. The court found that the provisions of section 16 of the Superior Courts Act read with section 19 determines the jurisdiction of the SCA to hear appeals from the High Court. Section 16(1)(c) of the Act provides for an appeal against any decision of a ‘court of a status similar to the High Court’. The LCC was found to be one such court. However, the LCC powers are limited to those possessed by a High Court having jurisdiction in civil proceedings. The Court found that because the High Court sitting as an appeal court lacks the power to grant leave to appeal to the SCA, as the special leave of the SCA is required in terms of s 16(1)(b) of the Act, the LCC also lacks the power to do so. Where the LCC acts as an appeal court in respect of an eviction order granted by the Magistrates’ Court, an appeal only lies to the SCA with the special leave of this court. Therefore, the LCC sitting as an appeal court does not have the power to grant leave to appeal to the SCA. As such, the court had no jurisdiction to hear the appeals and the appeals were struck from the roll. Eviction notice got you in a panic? *Simon Dippenaar & Associates Inc. are a firm of specialised eviction lawyers based in Cape Town and Gauteng, operating nationally. The appellants were are a group of people who occupied certain property in Johannesburg. The appellants brought two appeals before the court, namely (1) against an order of eviction that was granted by default and (2) against the dismissal of an application for rescission of the order of eviction. The appellants occupied the property in terms of oral agreements of lease and, according to the respondent, their tenancy was on a periodic monthly basis and the monthly rental was R1,239.00 per flat and R266.00 per room. The respondent alleged that the property had become overcrowded and run-down and, as such, he elected to terminate the leases so that he could renovate the property. The respondent gave the appellant’s notice of the termination of the respective leases and they were given three months, until 31 January 2008, to vacate. None of the appellants vacated and, accordingly, the respondent instituted eviction proceedings against them during April 2008. The appellants failed to oppose the eviction, which resulted in an order for their eviction on 18 June 2008. The appellants subsequently applied for rescission of the eviction order. In order to be successful in an application for rescission, applicants are required to show good cause. They must give a reasonable explanation for the default and show that they have a reasonable defence to the claim, which, prima facie, has some prospect of success. The appellants alleged that approximately 70 people resided on the property, of which there were children, disabled persons and woman-headed households. They stated that they had searched for alternative accommodation but could not find anything that they could afford. The appellants, upon receiving the eviction notice, claimed that they had sought assistance from the Inner City Resources Centre (ICRC), a non-governmental organization which provides assistance to people who are threatened with eviction, and believed that the ICRC would take the necessary steps to oppose the application. The appellants believed that the ICRC would appear in court on their behalf on 17 June 2008. The court found that the appellants clearly intended to oppose the matter but that they failed to appear in court because they bona fide believed that they would be represented, which they weren’t. Therefore, the court found that they were not in wilful default. 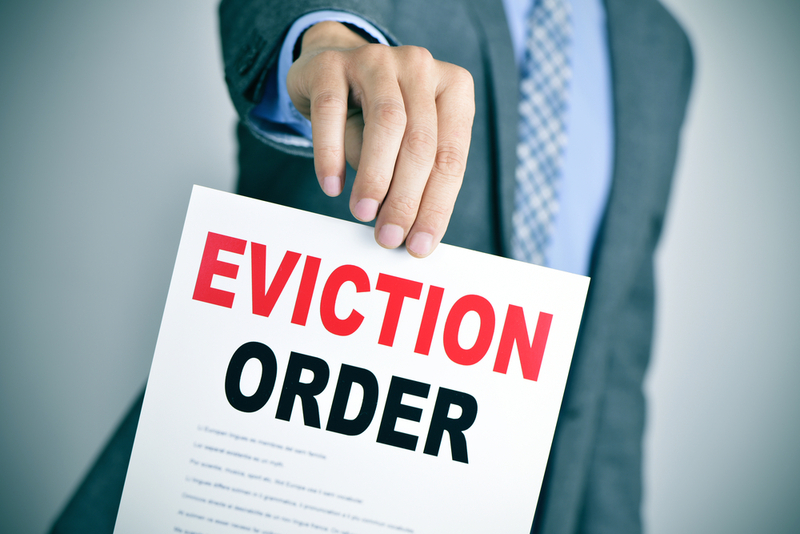 Section 4(6) and 4(7) of PIE provide that a court may only grant an eviction order if it is just and equitable to do so, after considering all the relevant circumstances. The court is obliged to consider the rights and needs of the elderly, children, disabled persons and households headed by women. The court must also have regard to the availability of alternative land. The court found that, as the information relating to the needs of the elderly, children, disabled persons and households headed by women was not placed before the court, the court was not in a position to have regard to all of the relevant circumstances. The court also did not have the views of the municipality, which could best inform the court of alternative accommodation available. It was found that the High Court had failed to comply with the mandatory provisions of section 4 of PIE. The High Court should have taken steps to ensure that it was appraised of all relevant information in order to enable it to make a just and equitable decision. Generally speaking, it will not be just and equitable to grant an eviction order where the effect of such an order would be to render the occupiers homeless. The court held that having regard to the personal circumstances of the occupiers, and the possibility that their eviction could lead to homelessness, the appellants established a bona fide defence that had some prospects of success. Accordingly, the default judgment, which was granted against the occupiers on 18 June 2008, was rescinded and the appellants were granted leave to oppose the application for their eviction.